Nothing is quite as satisfying as applying for a loan and receiving instant approval and payout. Of course, this seems like a pipe dream for many, but at Mulah, we are dedicated to these types of quick loans. With us there is no waiting around through hours of torture, worrying that you might need to make another financial plan. Once we receive your application, we will process it quickly and ensure that you are advised on the outcome. We handle our payouts with efficiency too. All loans that are approved before 3pm will be paid out on the same day. If you miss this though – rest assured that your loan will be paid out on the following day. What are the requirements to apply for a Mulah loan? 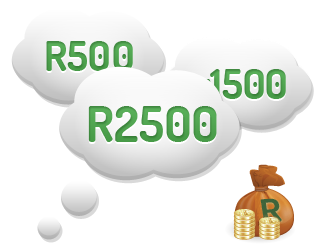 Applying for a loan with us is quite simple and the requirements are fairly easy to meet with. You will need to be a South African citizen who is 21 years of age or older. You will need to have a permanent job that pays your salary into a bank account, as well as your own valid email address and telephone number. We will also need your banking details and your ID number, so make sure that you have these available for us, when you process your application. There is nothing confusing or daunting about taking out a loan with us. We make the entire process as simple as possible, in order to cater to your needs. The online application process is quick and easy. Once you have selected your loan amount, the loan period and found the offered loan amount with interest and incurred fees acceptable, you can continue to the application process. Here, we will need your personal particulars, which will take just a few minutes to provide. Then there is no waiting around. We will quickly process your application and advise you of the outcome. The best part is, once you have taken out a loan with Mulah and handled your account well, you are eligible to apply for a higher loan amount in the future. It is always convenient to know that you have a reliable fall back plan, in case you are faced with further financial difficulties in the future. If you are a first time lender and are not sure of the process or what is expected of you, we can help. We have a real-time chat system available on our website, where you can chat directly to our consultants and get instant answers. This will make choosing the right loan and making the right decision for your finances simpler. At Mulah, we offer our clients the opportunity to truly benefit from quick loans. We encourage you to take the time to contact us directly via email or telephone, in order to discuss your needs and requirements. Alternatively, you can apply for your loan on our website and prepare to receive the financial aid that you require. 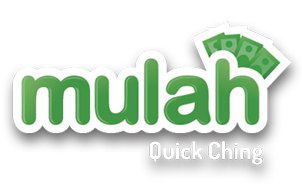 Mulah is the place to go for fast, convenient and reliable cash loans.